Court Dismisses Federal Appeal Over Niqab at Citizenship Ceremonies - Canada Immigration and Visa Information. Canadian Immigration Services and Free Online Evaluation. A Federal Court of Appeal panel has dismissed a government appeal over a ban on face coverings at citizenship ceremonies. Zunera Ishaq is the woman who initially challenged the ban in order to obtain her citizenship in time to vote in the Oct. 19 federal election. 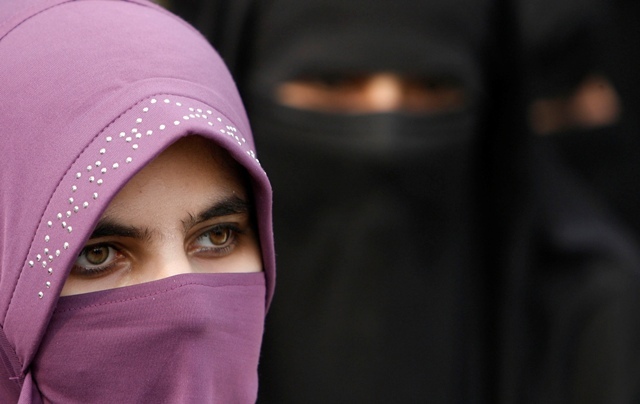 Ms. Ishaq, a 29-year-old woman with devout Muslim beliefs who came to Ontario from Pakistan in 2008 and refused to take part in a citizenship ceremony because she would have to show her face. The Harper government’s rule banning face coverings at such ceremonies was earlier found unlawful by the Federal Court with legal counsel for the Justice Department having argued unsuccessfully that the lower court justice made errors in his original decision to overturn the ban. When it was first announced, the ban on face coverings sparked a bitter debate in the House of Commons. At the hearing for Ms Ishaq in Ottawa, a Justice Department lawyer told the court that the government never meant to make it mandatory for women to remove their face coverings for citizenship ceremonies. However, legal counsel for Ms Ishaq, dismissed Mr. Southey’s argument, saying everyone from former immigration minister Jason Kenney, his successor Chris Alexander and even Prime Minister Stephen Harper have made it clear that they see it as a mandatory policy. Referring to internal government e-mails, the court there was told that there is not “one iota of discretion” within the policy. The controversial case focuses on whether a Muslim woman should be required to remove her face covering to take ceremonial oath of citizenship.